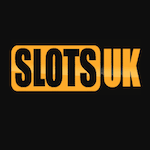 SlotsUK invites all players to grab this exciting bonus. Fund your account with £20 minimum using the code NOV and you will receive a 30% match up to £300. The extra funds work on any games you desire to play. This comes with a 50-times wagering requirement on the bonus amount. The conversion from the bonus funds is limited to 3x. The promotion expires on the 30th of November. Get this offer and enjoy your time to the fullest!